Great article. The best line: "He cares. He said so after all." Finally, I'll leave you with this satirical quote from Saturday Night Live. 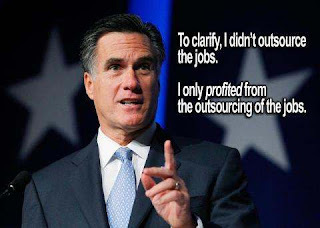 This is fictional, but loosely based on real life: "After Bain Capital shut down the mill, I was out of work for a year. Finally I got a job at a piano factory at half my old salary. Then Bain bought that company and I got laid off again. Next I worked as a trucker, then Bain came along, bought the trucking company, and I got laid off again. Then I got hired part time at an Orange Julius. Then Bain acquired that franchise and shut it down. Now I know it was the whole franchise, because it was just that one store. Then I said to myself, "What the hell's going on here?" Then finally I, I got a job at a shoe shine stand, under a psuedo name, working just for tips. But Bain somehow found out, bought the business, and moved it to China. That's when I knew, this was not a coincidence." Wow!!!!! I am voting for PRESIDENT OBAMA!!!! Notice how I capitalized PRESIDENT OBAMA??? He is our president, commander and chief and deserves respect whether people voted for him or not. It saddens me to see how he is so disrespected by so many "so called americans" , oh and of course "die hard cristens" the vile that is spewed out of some of their mouths is so disrepectful it sickens me. I do beleive in God , but I am not a hypacrit like so many of these so called extremists!!!!! 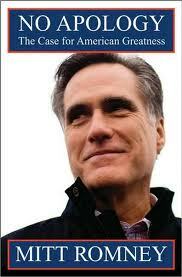 !BTW, Mitt's disrepestful behavior at the debates really shored up who Im voting for!!!! Mitt Romney is "above us all", look how disrespectful he is to "Our President",and yes President Obama is his president, commander and chief too, at least for a few more weeks. (hopefully 4 more years)I am in that "47%" and will definately be voting for President Obama. The lack of respect for him shown by so many so called Americans and Christens makes me sick.